The Fulbright U.S. Student Grant competition is sponsored by the U.S. Department of State and designed to promote mutual understanding and peace between the United States and other nations through educational and cultural exchange. It offers college graduates opportunities for career-launching study, teaching, and research abroad. Currently enrolled seniors and graduate students who wish to compete for a Fulbright grant must be endorsed by their home institution. Undergraduate alumni may also apply through UR. The Fellowships Office manages the University's endorsement process, except for Eastman, which has its own committee. Prospective candidates are well advised to begin the application planning process at least one semester ahead of the next national competition. The Fellowships Office requires candidates to submit preliminary materials in the spring prior to the fall of application. See the Fulbright campus calendar for details. 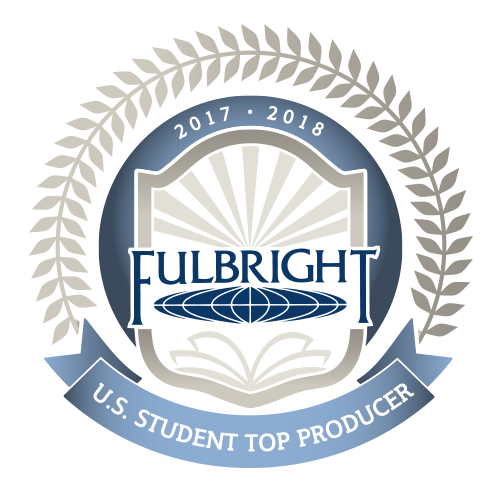 The University of Rochester has been designated as one of the Top Producers of U.S. Fulbright Student Scholars, 2013-14, 2016-17, and 2017-18!